IndiaRangDe Case For Samsung Galaxy S3 III Mini I8190 I8190N Printed Back Cover@399 Rs [Mrp:-399] - Onlinedeals.discount - A leading product discovery website. Find the true prices of products, read reviews and buy top brand products at reasonable prices. Samsung Galaxy S3 III Mini I8190 I8190N This form-fitting, feather light Designer Case provides full coverage to your Mobile/Phone, while still keeping your device ultra-sleek and stylish. The case is constructed of a rigid Polycarbonate featuring a brushed Matte or Glossy finish for a clean and sophisticated look. The image transfer technology results in superior prints that are embedded right into the surface of the cases with no peeling, chipping or wearing off, ever. 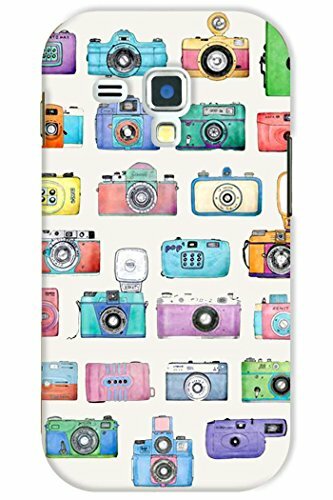 Most stylish and compatible Cases & Covers for mobiles of popular brands including Apple, Asus, Blackberry, Google, HTC, Huawei, Lenovo, LG, Micromax, Motorola, Nokia, OnePlus, Oppo, Samsung, Sony, Vivo, Xiaomi, Amazon, Coolpad, InFocus, LeTV, MEIZU and More Mobile Manufacturers. Disclaimer:- Color Disclaimer Due to the limitations of Print Technologies and the relative inconsistencies of various display monitors, the colors you see on your screen may not be a totally accurate reproduction of the actual product.